Unless you’ve written C in the past, your closest encounter with the preprocessor and its code inclusion is probably the #import statement. But before #import, there was #include. Sure, this is a trivial example, but it should make it pretty obvious exactly what the preprocessor is doing. Actually, the above example isn’t entirely true. To see what the preprocessed file really looks like, fire up Xcode and create a new C/C++ file. In terminal, navigate to the directory containing that file (use the cd command to change directories and navigate to the file). Then type gcc -E filename.c and observe all of the code that gets spit out to the terminal window. By default, all new C files have stdio.h included. This is the header file for all of the basic IO functions available to all C programs (such as the printf() function you saw above). 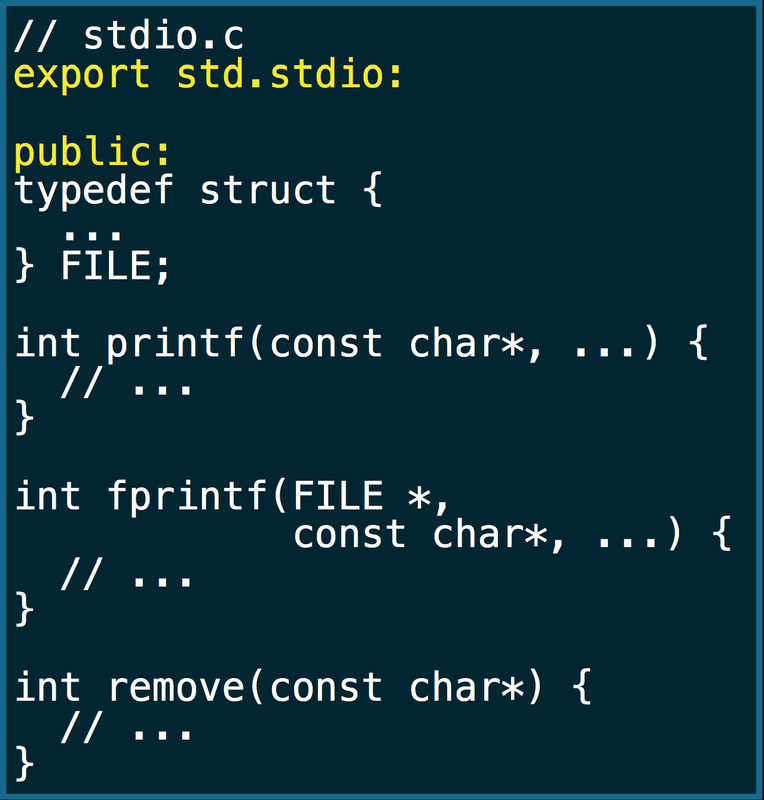 The preprocessor sees that your C file includes stdio.h, and so it includes all of the code in stdio and makes it available to your C program. If you scroll aaaall the way to the bottom of the output, you’ll see the code you actually wrote. #include placed all of the code from stdio in your file as if you had copy/pasted it there yourself. As a side note, notice that we wrapped our included header file in double quotes (” “). This tells the preprocessor “look for IncludeMe.h in the same directory as MyProgram.c”. However, stdio.h is wrapped in angle brackets (< >). This tells the preprocessor to look for this header file in the directory with all of the system headers. Well, the preprocessor first goes out and sees that FirstFile.h wants to include SecondFile.h inside of it. But when it goes to do that, it sees that SecondFile.h also tries to include FirstFile.h, which includes SecondFile.h, which includes FirstFile.h, which includes….ok, well, you get the picture. This is called a Recursive Include. The two essentially do the same thing, however Objective-C classes and frameworks should use #import and not #include. #define strong @"this won't work"
Notice that we’ve overridden the definition of the strong keyword with something the compiler doesn’t know how to handle. Modules break away from this textual inclusion model and instead act as an encapsulation of what a framework is, as opposed to just shoving the headers into your source files. Think of it as making an API of the framework available to your source file. With modules, a framework is compiled once into an efficient, serialized representation that can be efficiently imported when the library is used. Additionally, it ignores preprocessor state within the source file, meaning that you can’t override the definition of a keyword in a module just because you #define something with the same name prior to the import. But Apple, in typical fashion, has taken modules even further. Think about it: if you import the MapKit framework, why should you also have to tell Xcode to link against the MapKit framework? With modules, you get support for autolinking frameworks by default! Well that’s great, but now I have to go through each of my #import statements and replace them with @import? No! Apple is taking care of this for you, as long as you opt in. To opt in, make sure you turn on the Enable Modules (C and Objective-C) build setting. Additionally, you can turn on/off the auto-linking of frameworks here, as well. And that’s it! How does this work, you ask? Module Maps. Module Maps are a way for modules to, well, map back to their header counterparts. Then, a separate compiler instance is spawned and the headers from the Module Map are parsed. A module file is written, and then that module file is loaded at the import declaration. As before, that module file is cached for later re-use (where ever you may import the same module). The export keyword specifies the module name. The dot (.) indicates a submodule, so, in this case, stdio is a submodule of the std module. The public: keyword denotes the access to the API. In other words, which variables, methods, etc. will be publicly available. Anything defined outside of this is private to the module and remains that way. And that’s about it! NOTE: At this time, modules are only available for Apple’s frameworks. and have been implicitly disabled for C++. All of this @import stuff is really cool, in theory. But how does it stack up in practice? Doug Gregor includes an example in his presentation of the difference in the number of lines of compiled code using the traditional preprocessor macro versus the new @import directive. For the ubiquitous “Hello World” C program, the original source code file is a mere 64 lines of code. After the preprocessor has done its include of the stdio.h header, that number jumps to 11,072 lines. That’s 173 times the number of lines in the actual source file. That’s huge! Now let’s say each of your source files imports the stdio.h header (as almost all C programs do). You’re talking about adding over 11,000 lines of code to each file you add. From a mathematical perspective, that leads to an M x N compile time, if you imagine M source files and N headers. Using modules, the stdio module is parsed only once and then cached, dramatically reducing the number of lines in your processed source code files. Now, for smaller projects, the difference in compile time is negligible, and you probably won’t notice much of a benefit (aside from the conveniences of things like the auto-linking of frameworks). For larger projects, however, you’re looking at potential compile time improvements of a couple of percentage points or more! Either way, this is a really interesting and welcome addition to the LLVM compiler, and as the community continues to expand on what a module is and does, the benefits of using modules will continue to grow. This entry was posted in iOS, Tutorials and tagged ios, ipad, iphone, iphone sdk, llvm, mac, module, modules, objective-c, objective-c 2.0, os x, osx. Bookmark the permalink. That’s a great question. My advice to you, for now, would be to sit tight for a few weeks until Xcode 5 is officially released and the whole thing is out of private beta. Until then, things are constantly changing, with new features being added. While this post mentions and explains topics brought forth during the November LLVM meeting, it’s not to say that Apple has necessarily implemented everything in their Developer Preview releases of the new Xcode. An anonymous Apple developer claims that Modules will not be officially supported in XC5, but it is something they are actively working on. Take this with a grain of salt, or several though. My point being, don’t sit around waiting for them to be supported, use Modules when they are supported, but do it the “old fashioned” way until then. A private forum. I don’t want to link the post publicly, so shoot me an email if you want a link. It appears that this setting is still available in the released version of Xcode 5. I created a repo that has a full example of how to use AND create your own modules here https://github.com/mralexgray/ObjC-Clang-Modules. Enjoy! Is it a good practice to use @import in the Pch file ? because i don’t want to add “@import Foundation” in all my source files. You don’t need to add @import Foundation to any of your source files. Foundation is included (along with UIKit for iOS projects and AppKit for OS X projects) in your .pch file. That being said, it is done using the “old-school” #import macro, not the new module system. For any additional frameworks you want to add (CoreLocation, CoreBluetooth, QuartzCore, etc. ), you can just @import that framework in the files you need it. When you use #import, you’re essentially just copy/pasting that file where ever you put the #import macro. Even in the case of a .pch file, including any headers here with #import copy/pastes that file into EVERY file in your project. In the case of, say, CoreLocation, you may only need that framework in two or three files. So, including it in the .pch with #import, while allowing you to only have to type the import once, includes the framework in every other file in your project, even though they may or may not need access to CoreLocation. However, with @import, you get the visual benefit of modularity (I want CoreLocation in this file specifically, because I have included it here) with the additional benefit of the @import declaration, which will only include the framework once, and then essentially cache the file for use anywhere else you use @import, as opposed to blindly copy/pasting it each time. Thank you for this great explanation of import! Thanks for the wonderful post. I do have a question regarding the use of “export” keyword. I have read that most compilers (including gcc, Clang and Visual Studio) do not support the export keyword( link: http://stackoverflow.com/questions/5416872/using-export-keyword-with-templates). So is it something that can/will be implemented in future? What exactly are you trying to accomplish with the export keyboard? I’m not super familiar with C++, but it seems that (a) it’s deprecated even in C++, and (b) the OP is asking for a way to hide the implementation details but expose publicly available method definitions. In Obj-C you could accomplish this very easily with a framework (https://developer.apple.com/library/mac/documentation/MacOSX/Conceptual/BPFrameworks/Tasks/CreatingFrameworks.html). This would hide the implementation details (.m files), while exposing any public “API” you want via the header files. I am trying to use my own frameworks as modules. How can I do that? This link (http://clang.llvm.org/docs/Modules.html) has instructions on using module maps to accomplish that, but could not find any code examples. So if I have a header (example.h) how can I enable it to be imported semantically as “@import example;”. You can import custom frameworks into Swift Playgrounds (see https://developer.apple.com/library/prerelease/ios/recipes/Playground_Help/Chapters/ImportFramework.html), but I’m not sure if you can do it for Objective-C-based frameworks, honestly.